Not many artists can claim their medium of choice are "sticks." Compared to oils or watercolors, you might not think stick art is all that compelling. Think again. 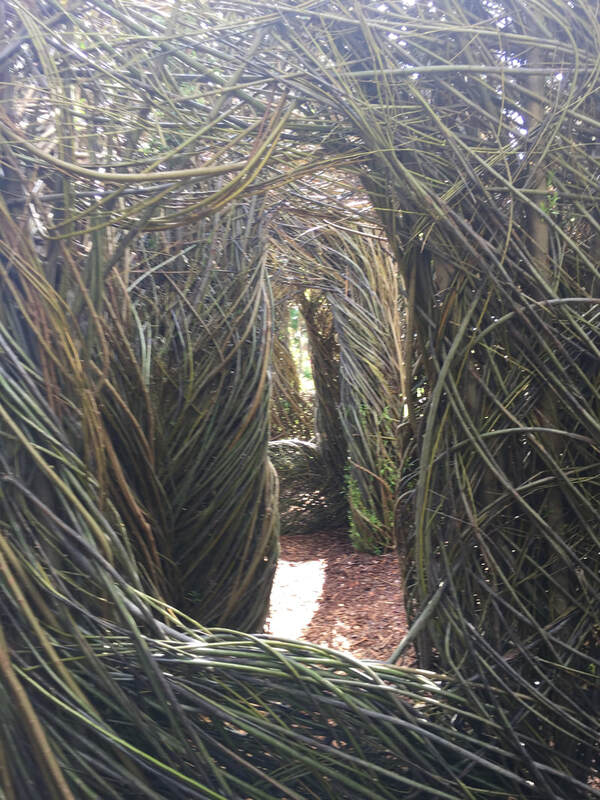 Patrick Dougherty has made a career out of creating living sculptures from tree branches. 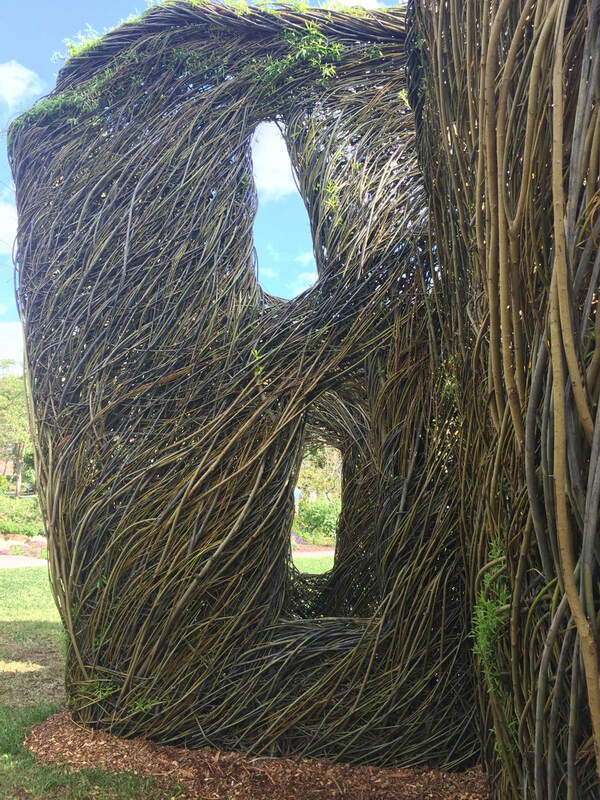 And to help mark the 40th anniversay of Mounts Botanical Garden, Doughtery, his son and a group of over 100 volunteers created "Twisted." Rising from the Garden's Great Lawn, it resembles something out of Grimm's Fairy Tales -- a house in an enchanted woods. In fact, as you approach it, you kind of expect to be greeted by Shrek. 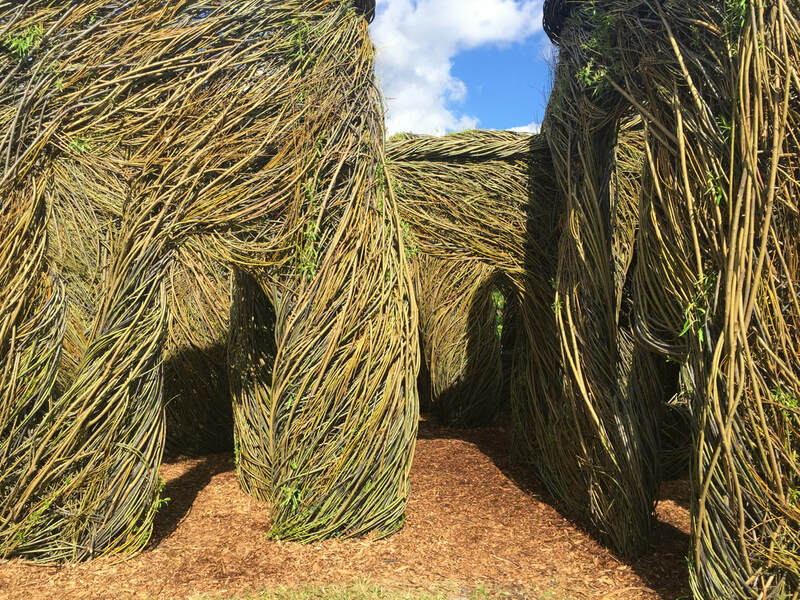 Officially named "Cutting Corners," visitors can be seen taking photos from every angle, and peeking out of the windows. 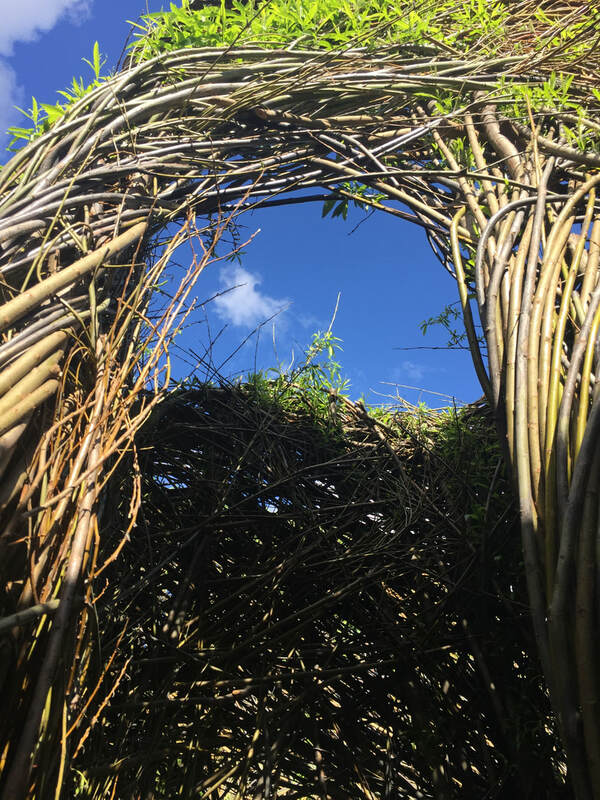 It's truly amazing to see how simple willow sticks can be used to make something so magical. Learn more in Pam's podcast, and the time-lapse video. And if haven't been to Mounts, you're in for a double treat -- the Garden itself is beautiful. Tickets are available for purchase at the Garden’s main gate. To schedule a group tour, call 561-233-1757. Time-lapse video of building "Twisted"